Discussion in 'Lexus Lounge' started by krew, Mar 8, 2017. The new Lexus SUV could debut in the near future. renyeo and Den like this. Going to be interesting... now, ready to see the damn thing! The C-HR has been selling like crazy in Japan, so it is indeed highly likely to see the debut of the C-HR-based UX in Tokyo IMHO. Europe too... it might be sooner than Tokyo. 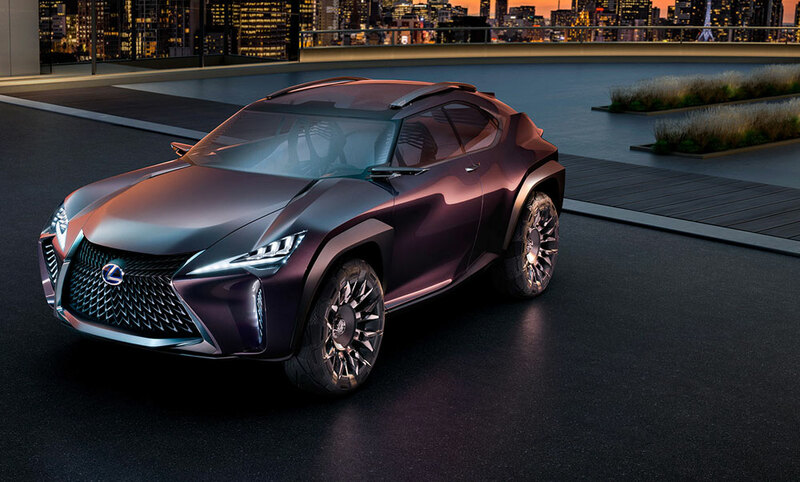 I can see them offering larger engine for UX, and i hope they will... CHR is already pretty luxurious so it will be much easier transition to Lexus than NX had. Andyl and Joaquin Ruhi like this. Okay once again we will have a great looking SUV more aggressive than most on the market wil we get a F version of this car...? The first F SUV would be a huge statement. This is great news though not too surprised. I will be surprised if the UX doesn't make it to N. America seeing that subcompacts are gaining in sales as a genre. Andyl and RAL like this. After having seen the concept UX, I hope that the styling is toned down big time for the production version. Lexus Cohen and Gecko like this. Can someone tell me at Toyota why the C-HR was there much earlier than the UX? This was supposed to be the other way around, and a few years previously. The competition is huge these days. It's a strategy that works with Toyota Motor Corp that I suspect to iron out any kinks with the platform as a Toyota model first. A less likely strategy IMO is it could also be to stagger product releases of "like" models even though they are not in the same price point/customer base. carguy420, John Estrella, Andyl and 1 other person like this. Maybe you're right, but not for the RC --> GT86. And about the CH-R, I think that must be '17 CH-R, they're already on the road here in Europe. That's why I think that the UX is for Q2 '18. As for RC -> GT86/FT86 ? No no... Both ride on their own unique and very different platforms. Nothing shared whatsoever. And about the CH-R, I think that must be '17 CH-R, they're already on the road here in Europe..
C-HR indeed launched in Europe earlier than in North America. U.S. pricing was announced just earlier this week. It hasn't even arrived at the dealers yet. And, in the U.S. (presumably also Canada) it's considered an early 2018 model year debut. because it is more important and its markets are more about Toyota than Lexus? Toyota C-HR just jumped to #3 in Japan and it is going to be likely a #2 best selling Toyota in Europe for 2017. And this is for fairly expensive vehicle for its size. So between Europe and Japan, C-HR will likely sell between 200k and 300k units. On the other hand, Lexus is big in USA where most of the press is asking why isnt C-HR bigger and some are even comparing it to Honda Fit, or writing how it is more expensive than a Corolla. So in USA where expectation is that size=price, premium, near-luxury Toyotas like C-HR are not a greatest fit. For Europe, they have just proven that if Toyota builds it (near-premium vehicle), they will come. Most of European markets have Toyota up by 20%-25% for 2017, solely due to new C-HR as rest of the lineup is getting very old now. renyeo, Carmaker1, Ian Schmidt and 3 others like this. Good to hear from you spwolf! spwolf and OlFius like this.